Antifouling has to be one of the most laborious annual tasks a yachtsman has to carry out.... But one of the most important. Selecting the correct anti foul and applying according to guidelines is as important as you engine service or sail valeting! By getting this right you'll see the benefits all season long! 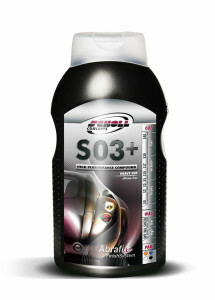 Correct anti foul selection and application and save you fortunes on fuel throughout a years motoring and allow you to enjoy maximum performance month after month, severe fouling can cause 50% performance reduction and 30% increased fuel use and when you're talking in litres per minute rather than gallons per mile than can add up quickly.Safety is paramount; a fouled hull will prevent sufficient forward momentum of your yacht under sail which in a squall can result in it broaching or even worse capsizing. 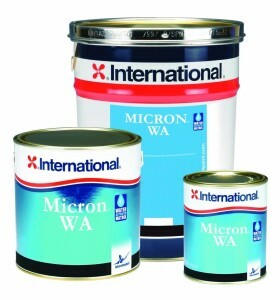 West Marine Service is an approved International paints application centre, we have been using the products for over 10 years and know exactly what product suits each and every application. 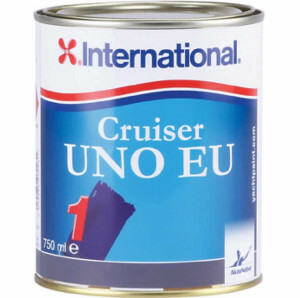 International is a week known brand not only in the marine leisure industry but all in the commercial world where it's widely applied to ferries and cargo ships. It has a proven tack record and has succeeded in coming top in many yacht magazine tests, we use International anti foul as standard! Prior to every anti foul application your hull will be throughly check to ensure the next coat of paint will adhere correctly. After this the hull will be jet washed, keyed by hand, degreased and a final wash, once dry 2 coats of anti foul will be applied with a third around the waterline and leading edges, this allows for an extended season in most fouling areas. Over the years the build up of annual antifouling may require removal prior to the next application, there are a few methods for doing this, we can talk you through the pros and cons of each method and costs involved. On larger craft our preferred method is to have the hull sand blasted then apply several coats of epoxy prior to antifouling, the epoxy treatment seals the GRP surface and helps prevent osmosis. The International product of choice for this is Gel Shield and for the majority of applications six coats is required for adequate protection. From the most laborious to one of the most rewarding jobs to be carried out... Valeting!. We take great price in our finished product when it comes to valeting, starting from a basic wash to a heavy compound and polish theres no greater satisfaction than walking away from a nice shiny boat! Its important to keep on top of your yachts appearance as the harsh marine environment can take its toll, depreciating its appearance and value. Every boat should be washed at least once a month and be cut and polished annually, coloured GRPs may require extra attention due to the UV bleaching effect from the sun. Your canopy and canopies perspex should also be maintained, leaving the salt spray on the perspex on a hot sunny day can bake it into the material leaving it hazy and requiring replacement. You canopy should also be reproofed every few years, this helps stop the mildew from forming inside and rain getting through, prolonging its life. 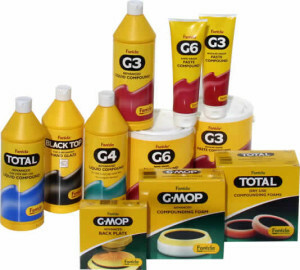 West Marine Services use an advanced range of compounds and polishes and are often asked by the manufacturer to trial new products and report back before they're produced for sale. We use different products and different techniques depending on the application and desired effect. For GRP surfaces we first use a compound (cutting agent) to open the surface, remove UV bleaching and remove minor scratches/debris. Once we are happy with the surface we apply a polish or wax, this increases the gloss finish but more importantly seals the surface preventing salt and dirt from setting in. Traditionally the boats topsides (from waterline to rubbing strake) will be polished while the boat is ashore and the superstructure and deck will be completed once afloat, once this is taken care of we hand polish all stainless steel rails and fittings and finish with a wash removing any excess materials, Its important to remove as much of the fresh water as possible once you've washed the boat as the chlorine in the water will reduce the shine if left to dry on the GRP surface. The best way to see a before and after is to get us on board and polish your boat! Call us now for prices and availability.